We are not accepting applications to this program. Performance of CPR and application of life support technology. The Respiratory Care Program prepares students to become competent respiratory therapists who display excellence in both performance and attitude. The specialized nature of Respiratory Care requires not only a technical expertise but also a humane, empathetic and professional behavior directed toward patients and their care. Respiratory Care students are expected to strive for excellence in the classroom, laboratory and in their clinical practice. The 75-semester hour degree curriculum includes 51-semester credits in respiratory care and 24-semester credits in general education. General education courses promote the practice of oral and written communication skills and utilization of human and social awareness to promote reflective thinking and problem-solving. Application of general education knowledge is an expectation for today's health care graduates and professionals. 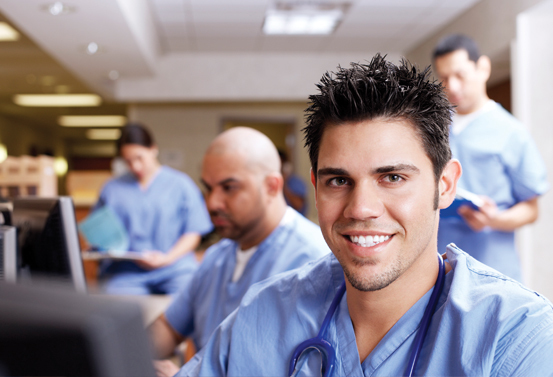 The dedicated curriculum prepares the graduate to practice as a registered respiratory therapist. The curriculum is primarily sequential, combining theory classes and clinical experience to facilitate mastering the learning process. Students are assigned clinical health sciences experiences using the facilities of Trinity Regional Health System and other health institutions within the bi-state area. The affiliation with Trinity Medical Center provides students access to Trinity campuses in Rock Island, Moline, and Bettendorf. All are acute care facilities with a comprehensive approach to health care and respiratory therapy. Students are assigned clinical rotations at all three campuses, local health care institutions, and additional acute care experience at a Level II Regional NICU institution in the final semester of the program. The Respiratory Care Program requires that all graduates demonstrate competence in didactic coursework and a specified list of clinical competencies. Outcomes data from the Annual Report of Current Status has been posted on the CoARC website. Follow this link directly to the Programmatic Outcomes Data page.